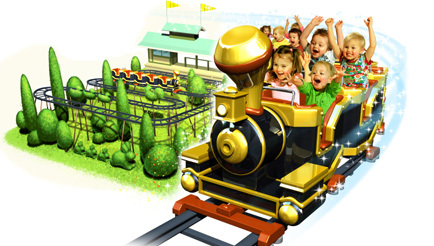 Tuff-Tuff Tåget, or Choo Choo Train, will be Grona Lund’s new addition for this year. In an effort to provide more things to do for small children, this new addition will allow smaller riders to enjoy this mere 8 foot tall ride. 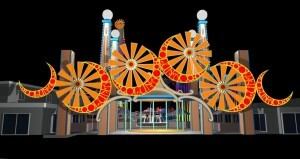 The Zamplera Mini Mouse is expected to open on April 4, 2010. This new addition just goes to show that the park is doing quite well. In 2007, they added a Vekoma Family Suspended coaster, and just last year the park added a new Intamin 4D Coasterball, appropriately named Insane. Seeing that the park is so small in size, it amazes me that they continue to add compact coasters that pack a punch. Leave a comment with your park thought below. There are certain items that scream a good old amusement park to me. These novelties are the quintessential items to have a classic theme park, they are have the same essence as a good old fashion wooden coaster, a hand carved carousel, or the grand strip lights that glisten at night. Souveniers like these are slwoly disappearing but are still a great find. Here are some of my favorite theme park novelties. 3. Boardwalk Game Prize Stuffed Animals – In nearly every romantic scene at a boardwalk or theme park, the guy always wins his significant other a stuffed animal by showing off his skills at a boardwalk game. While these items are cheap, stuffed toys and many call them rip-offs. They bring joy to the eyes of the beholder. They make any child at heart feel warm and fuzzy inside. Call them what you like, but there is something about these simplistic little toys that seems to always make me happy to win one. When you win one of these toys, don’t you feel superior to everyone else? Don’t be modest of course they do. Weather these little figurines bring a sense of romance or a sense of victory they are of course one the greatest, under appreciated little items which is why they are number 3. Yum, yum! Weather it is pink, blue, green, orange, or purple, nothing satisfies the 4 year old in all of us then a great big bundle of Cotton Candy. The fluffy air filled food is essential to any classic amusement park. Every sweet tooth will meet their craving with some cotton candy. Personally, I am not a fan of cotton candy’s taste, however seeing it just makes it feel like such a great moment. This is not some worthless talent, it is an art form! 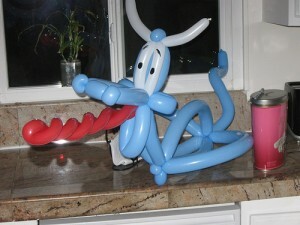 I recently met an amazing balloon artists/creator/constructor who was very talented. And while these are disappearing in theme parks, when done right, they are simply amazing. 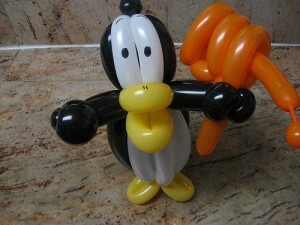 Let your imagination inflate into any of these wonderful creations that you can carry, wear, or play with. Choose what your heart desires, weather it be a flying pig, penguin with a lazer gun, or a 3.5 foot Dragon hat, Balloon figurines bring out the child in me. So what other novelties do you like at theme parks? Frozen lemonades? Giant pretzels? Leave a comment with your park thought below. Tragedy at Sea World yesterday as one of the park’s most experienced trainers was drowned by the biggest killer whale in captivity. While officials have yet to release details, there are conflicting reports of how the events played out. There are some video clips of moments prior to the incident but it is unknown if the actual incident was caught on tape. All of us at Park Thoughts send our condolences to the family member of the trainer killed in the victim. 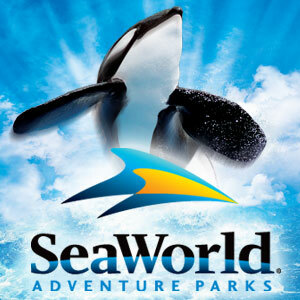 Please leave a comment with your park thought about this tragic incident. Get Published on Park Thoughts! Do you write articles and reviews about Amusement Parks? We’d love to have them published here on Park Thoughts! Park Thoughts is looking for articles and reviews to publish to our large collection. We’re looking for only the best, top-notch writing out there. Its time for a quick round up of the news that Park Thoughts has unfortunately missed in the past few days.